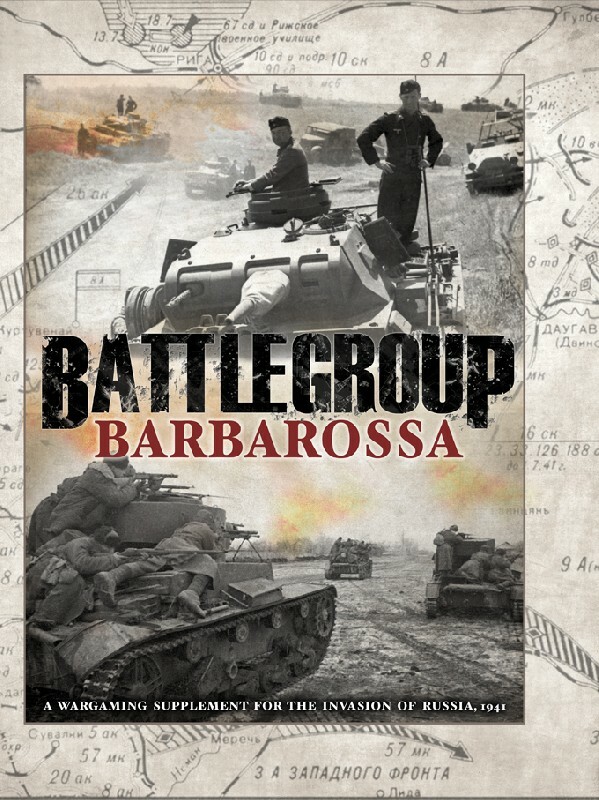 Supplement to the Battlegroup gaming system covering the invasion of Russia in 1941 - primarily but not exclusively designed for 20mm and 15mm scales. Army lists, vehicle data and special rules for the beginning of the war on the Eastern Front, including the frozen winter battles, Russian command chaos and the swift Panzermarsch! Seven new army lists (German panzer and infantry divisions, Russian mechanised corps and rifle divisions, Hungarian rapd corps, Finnish and Rumanian infantry divisions), modelling guides and a mini campaign for the Russian defence of Ostrog in late June 1941. All in a lavish 176 page hardback book - heavily illustrated with inspiring miniature and historical photographs and artwork.